Back in the ancient times, Romans pioneered and extended the use of precast concrete, but this architectural and engineering feat in building technology is far from over. Advanced innovations in precast concrete paved the way for faster design and construction timeline. The demand for this cutting-edge constructive system is insurmountable as it surpasses the benefits of traditional construction. Rather than cast-in-place (CIP) concrete pouring on site, its production cycle starts in a precast plant or factory. Concrete is cast in reusable forms and moulds, cured in a controlled environment, transported logistically to the site, and then lifted up using tilt-up technology. The savings on logistics, material handling and transportation alone can be seen effectively, but also by manufacturing the concrete in a precast plant, highest quality control can be ensured. Additives for early hydration and high-compressive strengths can be mixed integrally in the Portland cement mix. Moisture loss from extreme weather temperatures is a non-factor in the accelerated curing process of precast concrete. Also, decorative finishes such as colour and exposed aggregates can be applied. 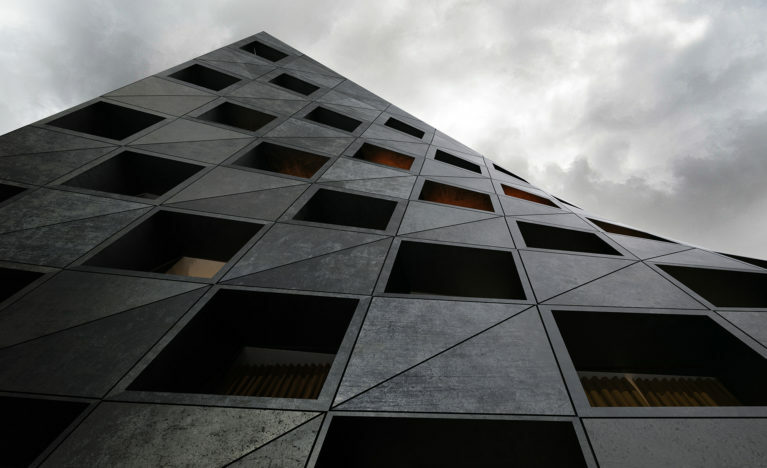 Rather than wasting valuable resources on site, precast concrete can be meticulously controlled to meet the project’s aesthetical and structural requirements. Modular construction is also possible because of precast concrete. With easy assembly and installation, speed equates to higher profitability for the client, architects, contractors and developers. The risk of liquidated damages from not meeting the client’s budget and time constraints is diminished. Moreover, the repeatability of the modules and forms factor in a minor CO2 footprint than cast-in-place concrete. Flexible and resource-efficient, precast concrete can be employed in all kinds of residential, commercial and industrial projects. Its diverse application can be seen from the facets of architectural, structural and utilities. Architectural cladding panels and façade modules are some of the linked components that can be pre-fabricated. 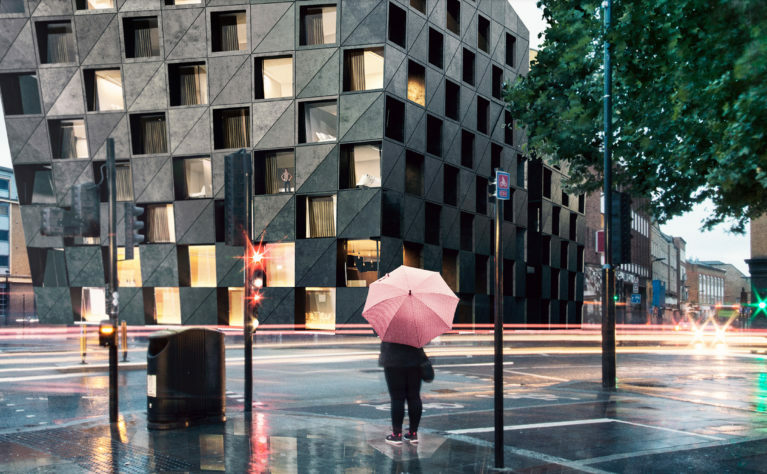 We geared towards this efficient process in designing the parametric façade of Shoreditch Hotel. 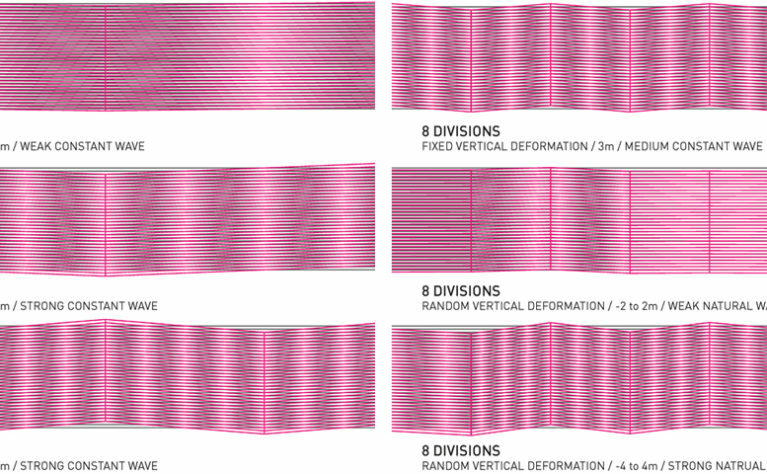 Structurally, flat slabs can be imposed with post-tensioning system. This method equips the architect with a useful tool in designing free-flowing interior layout with longer spans of beams. 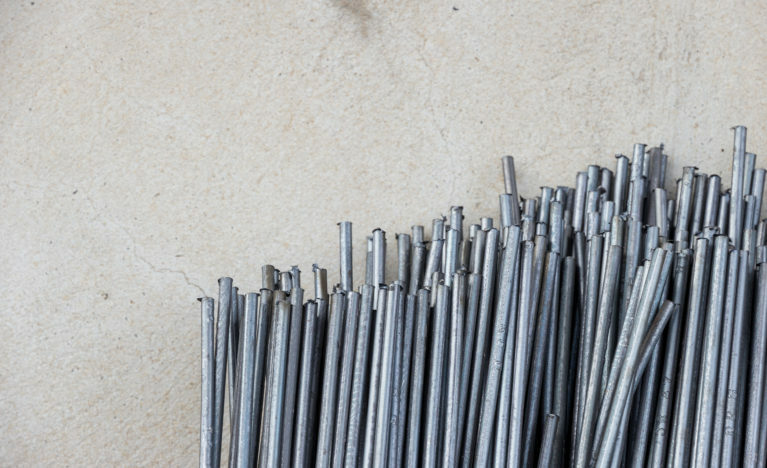 Conversely, the open channels of hollow-core slabs reduce the weight, optimise the structural integrity and hide utilities such as cables and pipes.